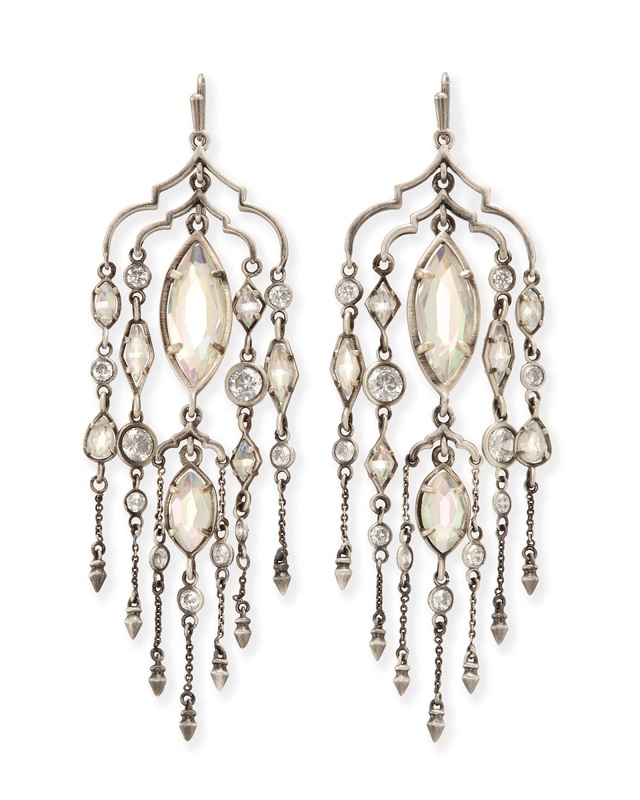 One of my favorite ways to stay on trend each season is with jewelry - specifically for me earrings. 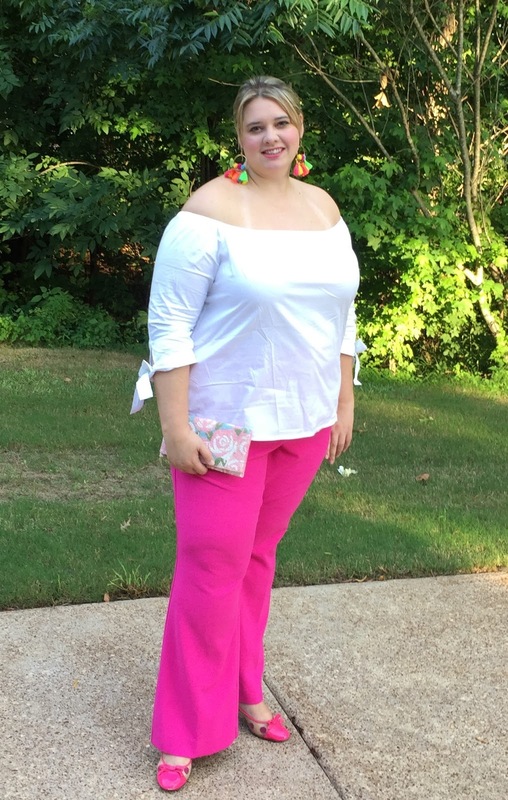 Jewelry fits no matter your size and while bracelets can get in the way with work and necklaces can either complete or compete with an outfit I find that I wear earrings every single day and I tend to be drawn to statement earrings. My absolute favorite statement earrings are the Kendra Scott Danielle Earrings. But at $65 a pair I tend to purchase one pair per season. I got this green pair last fall because I thought it would be good to dress up football outfits when we watch Green Bay Packer games. With palm prints being so in style right now I'm getting a lot of wear out of this particular pair this summer. I also have them in blue, burgundy and mother of peal and I have my eye on the pink pair as my next set. 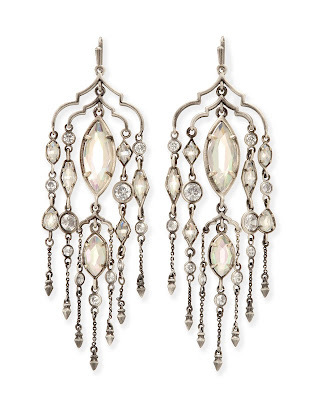 Last spring I mixed it up and got these Emma Chandelier earrings. I feel like the chandelier is a classic style and these are actually pretty lightweights as far as chandeliers go and I'll be wearing them for years. They could absolutely be worn dressed up but I also really love them with a casual look. Although I appreciate the seasonless style of Kendra I do like to purchase earring that are really trendy each season and with these purchases I don't like to spend a lot knowing that they can quickly go out of style. One style I'm really into right now is the lantern balls. This stripped pair came in my Prep Obsessed July Mystery Mailer. In addition to red, white and blue going with patriotic stuff I think they're great for the nautical look as well. Navy is a great neutral so these earring can add an instant bit of trend to an investment piece. While at Charming Charlie I also purchased two pairs of tassel earrings - the small tassel hoops in the top picture and these bold tassels. I am loving these earrings against this off the shoulder top and I've repeated this top look with several different pairs of pants this season. 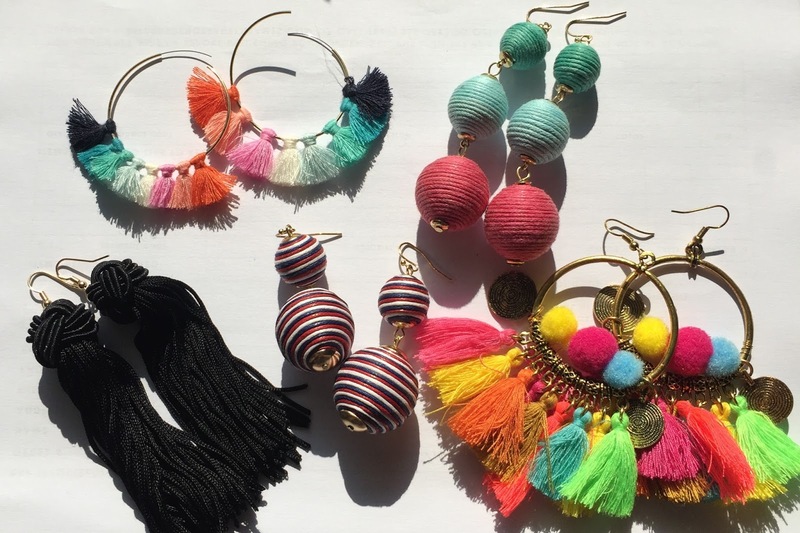 Staying on trend doesn't have to cost a lot and I have found that buying five "trendy" pairs of earrings was enough to update my collection for the summer.